Standing on the hillside, overlooking West Looe, the Port Looe (or Portloe) Celtic Cross is a strange historical artifact. The details have been worn away by centuries of weather, but it still exudes a strange power. The cross was found, around 1930, buried in the peaty soils of a nearby farm. 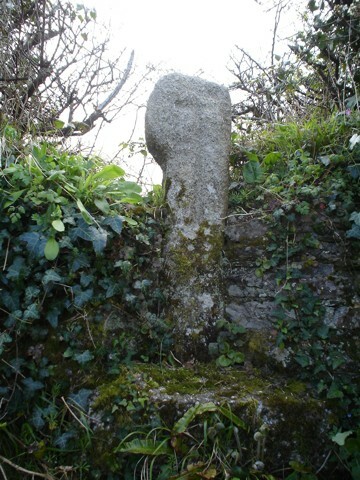 The people of Looe quickly erected the cross, on one of the lesser known exits to the town. Passing ramblers, walkers and tourists would probably not notice the cross. It's unassuming appearance can go unseen and ignored, which is a great pity. You see, the cross is evidence of an early Celtic shrine, town or religious building. This settlement has long since disappeared from the landscape, leaving the cross as a stony reminder of its forgotten existence. This sad tale was inspiration behind Barrow Hill's sinking chapel, more pristine, Celtic Cross, (and it's own forgotten past). 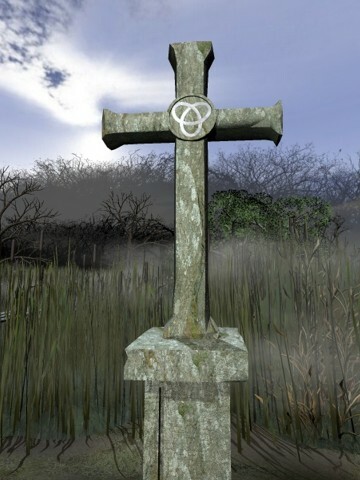 Eventually, if you follow the fiction, the chapel and cross will disappear under the swampy waters, lost forever. Right: Barrow Hill's almost pristine Celtic Cross conceals a secret past.